Some artists just need a few keywords in their description and the counterpart knows directly who you are talking about. The keeper of this biography is among this species of artists. He is polarizing in many kinds – with his appearance, his uncompromising rocking DJ sets, his own events, multifunctional productions and his fun with his hedonistic artist life, that he is sharing with anyone who has got the same sense of humor. So we are talking about a born-and-bred workaholic from the music scene, who is unmasked by a handful keywords like “Flashing Disco Sounds”, “Dortmund”, “apeoffice”, “Moonbootique”, “Systematic” and “Ante TV” worldwide as chief rocker Ante Perry. Some artists just need a few keywords in their description and the counterpart knows directly who you are talking about. The keeper of this biography is among this species of artists. He is polarizing in many kinds – with his appearance, his uncompromising rocking DJ sets, his own events, multifunctional productions and his fun with his hedonistic artist life, that he is sharing with anyone who has got the same sense of humor. So we are talking about a born-and-bred workaholic from the music scene, who is unmasked by a handful keywords like “Flashing Disco Sounds”, “Dortmund”, “Diskobear”, “apeoffice”, “Moonbootique”, “Systematic” and “Ante TV” worldwide as chief rocker Ante Perry. Flashing Disco Sounds are on his agenda. That is why he is not only using them as description of his sound, but also as title of one of his most successful series of events, a double Mix-Cd and one out of it resulting E.P. with own tracks. As a DJ Ante is that, what the vernacular is calling “secure investment”. No matter where he plays his eclectic sets, he knows to fit in any situation of a party like a chameleon but still keeping his own taste, regardless of playing deep house, techno or in big rooms. Dortmund is the homebase of this Ruhrpott romantic who is very attached to his hometown. If someone played a main part, in Dortmund manifesting as a part of the international scene, it was dortmunds jack-of-all-trades Ante. apeoffice is the name of the implied agency, that is leaving its own brandmark in most parts of germany because of its events. True to the motto “Not only we know how to rave, but also we know how to organize it”, the apeoffice has shown with events like Flashing Disco Sounds, Erste Liga, Heimspiel im Stadion, AEEW, Zuckerbrot und Peitsche, Home14, Electronic Nation and not to forget the Mixery Love Sensation @ Loveparade 2008, that an excessive use of bananas paired with fun at work and love for the music are a safety formula for succesful events and ecstatic crowds. Moonbootique, the label from the famous duo Moonbootica, is the homebase for his productions, that mostly result of cooperations with his “partners-in-crime” Tube & Berger or Kolombo. Also on Marc Romboys label Systematic you can find succesfull releases. 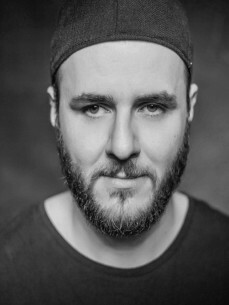 Tracks like “Beach Power”, “Der Urknall” and “1,2,3,4” (remixed from Kabale und Liebe) made Ante take his permanent place in playlists of international top DJs like Laurent Garnier, John Digweed, Carl Cox, Richie Hawtin, DJ Hell, M.A.N.D.Y., Anja Schneider, Karotte, Matthias Tanzmann, Joris Voorn or Charles Webster. As former A&R of Moguai and Phil Fuldners labels Punx and Polo Records, Ante surely knows what it needs for a real club hit. Even the Major Companie “Warner Music” saw the great potential in his work and ordered a remix for Jennifer Rostocks Pop-Anthem “Du willst mir an die Wäsche”.